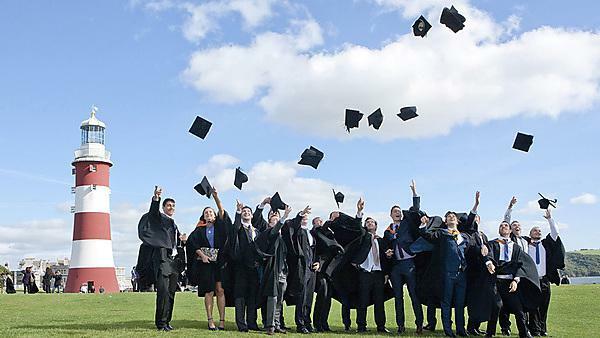 Every year, as thousands of our students graduate on Plymouth Hoe, they receive degree certificates which record the academic successes amassed during their studies at Plymouth University. But many of our graduates do much outside the classroom which goes unrecorded. We therefore present our students with a Higher Education Achievement Report (HEAR), as part of a national initiative which provides a new way of recording student achievement. It is intended to help students stand out from the crowd when seeking employment, by providing more details about your learning and achievements than the traditional degree classification system. This record is created from the moment our students start at Plymouth University and is viewable to most students throughout their studies. The Higher Education Academy has provided a video introduction to the HEAR. What will my HEAR include? The HEAR includes and extends the existing record of academic achievement: the academic transcript, and the European Diploma Supplement. This information follows the same documentation you would expect for students graduating from any university in Europe. But it also features additional information relating to any extra-curricular activities which are formally recognised by the University – for example, the Plymouth Award, being a Student Ambassador or joining up to the Peer Assisted Learning Scheme (PALS). Further details of what appears on the HEAR can be found in the FAQs and on the section descriptions page. View an example of a mock HEAR report. The HEAR will promote your activities to prospective employers and promote Plymouth University student achievements to local, regional and national employers and stakeholders. When and how will I get my HEAR? You will be able to login into the HEAR system from the moment that you receive an email from Gradintelligence where you can view your HEAR as you progress through your studies and more achievements are added to it. At the conclusion of your course you are then issued with your complete (summative) HEAR after confirmation of your award. Your electronic version of the HEAR is produced on our behalf by Gradintelligence, an external supplier already contracted by other universities to produce the HEAR. Details of your academic and other achievements are transferred to Gradintelligence in order for them to create your HEAR, and once you have activated your account with them you will be able to access your record and, if you wish, share it with specific employers, recruitment agencies or other institutions. For further details please read our FAQs. If you have any further questions which are not answered then please email hear@plymouth.ac.uk. Find out all the answers to your questions about your HEAR. Find out what information appears in which section of your HEAR. Still considering your options? Or want to continue to develop your skills for the workplace? You can access many of our services for three years after you graduate. We're incredibly proud of you and hope you feel the same way about us.